The Villa rental business has experienced solid growth in the past decade, and we are happy that Villazzo – since our inception in 2002 – has grown from a small start-up with a new idea to the worldwide market leader in hotel-managed private villa rentals. 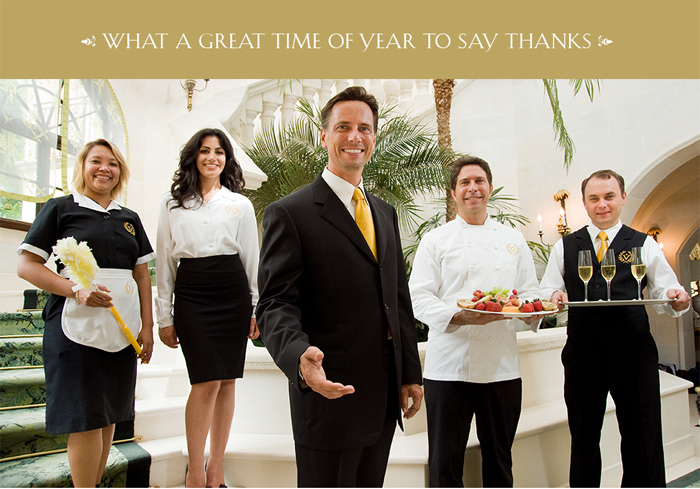 Our team is delighted to celebrate this time of the year with you! As we guarantee to exceed your expectations, help you disconnect from your daily routine and indulge in the ultimate luxurious vacation, our VillaHotels in Miami, St. Tropez and Aspen continue to be recognized as much more than just “concierge rentals” – Villazzo is instead a full hotel management company – just for private villas. Our customer-centric culture ensures that we serve and cater to all your needs by offering a perfect marriage of luxury villa and outstanding 5-star hotel transformation, staff and service like no one else can. We know you have a lot to choose from and we appreciate your confidence in our offerings and services. We thank you for being part of our successful journey. On behalf of the Villazzo team, thank you for helping us achieve our goals. Your loyalty inspires us to reach new heights. Check-in with us in 2016 as we plan to constantly raise the bar in terms of the level of service we offer. We will ring in the New Year with your next luxury vacation in mind. This entry was posted on Thursday, December 31st, 2015 at 9:57 am	and is filed under Villazzo Newsletters. You can follow any responses to this entry through the RSS 2.0 feed. You can leave a response, or trackback from your own site.